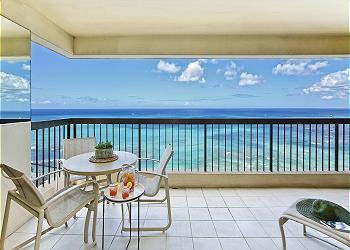 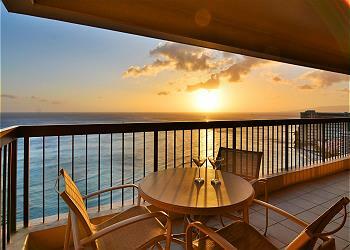 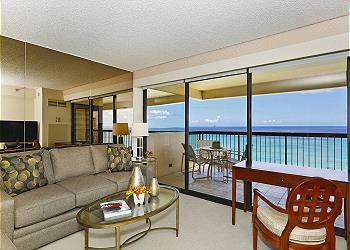 Captain Cook Resorts Waikiki Beach Tower Vacation Rentals offer spacious, centrally air-conditioned 2-bedroom, 2-bath condominiums with full kitchens, washer and dryer, linens, towels, beach towels, dishes, WiFi and FREE parking. 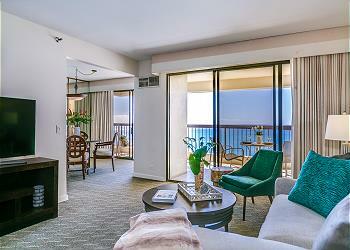 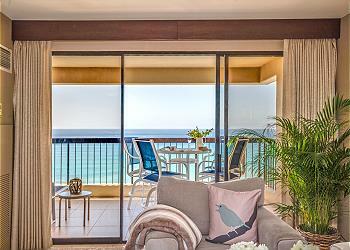 Each suite has an extra-large balcony/lanai which stretches the length of the front of the suite affording wonderful opportunities for outside dining while enjoying sweeping views of the Pacific Ocean, Waikiki shoreline and fabulous sunsets. 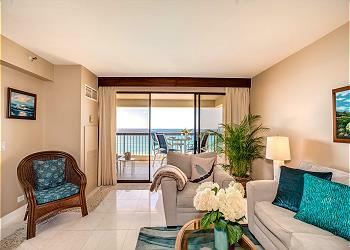 The fabulous NEW 4th floor Recreation Deck completed renovation at the end of 2016 and now includes a fitness center, yoga workout room, locker rooms with showers and restrooms, new pool deck and heated swimming pool, secondary wading pool, cabanas and lounging areas, and jet spa and sauna! 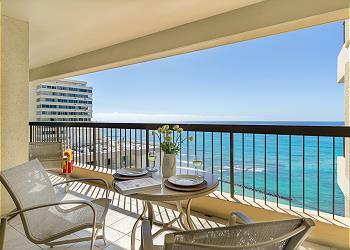 Located in the heart of Waikiki, Waikiki Beach Tower is walking distance to many casual and fine dining restaurants, shopping and entertainment. 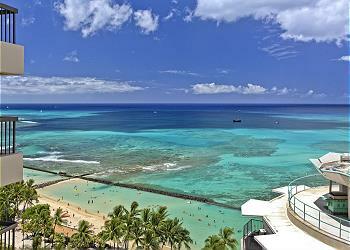 Water sports and equipment rental can be found across the street at Waikiki Beach. 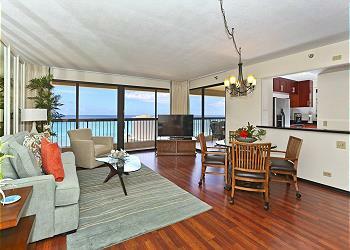 You’ll be directly across the street from World Famous Waikiki Beach and a great beach area where a seawall forms a giant, wave-free pool! 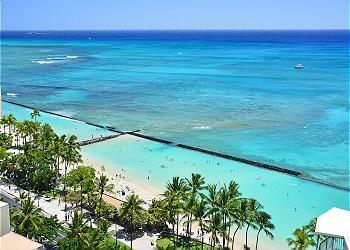 Warm, shallow water with a sandy bottom - a GREAT alternative to a swimming pool! 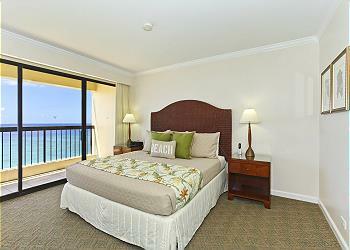 Captain Cook Resorts Waikiki Beach Tower Vacation Rentals is the place to stay in Waikiki for the best access to swimming, surfing, a variety of water sports, and proximity to everything Waikiki has to offer!